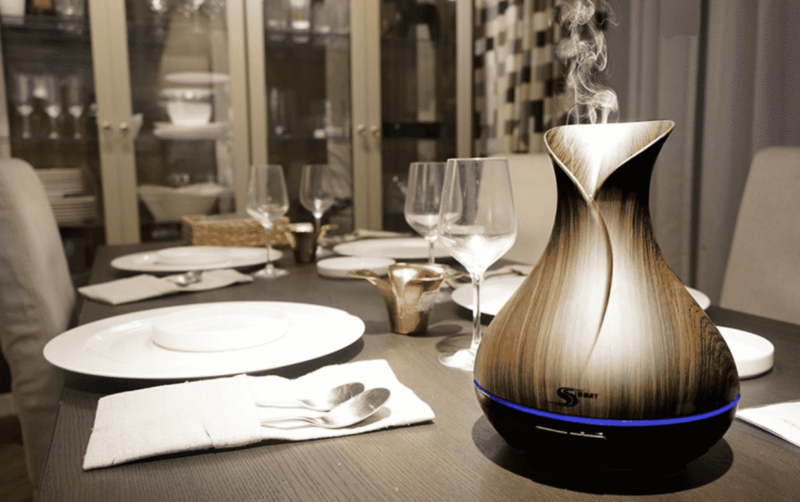 Diffuser vs Humidifier – Which to Buy? 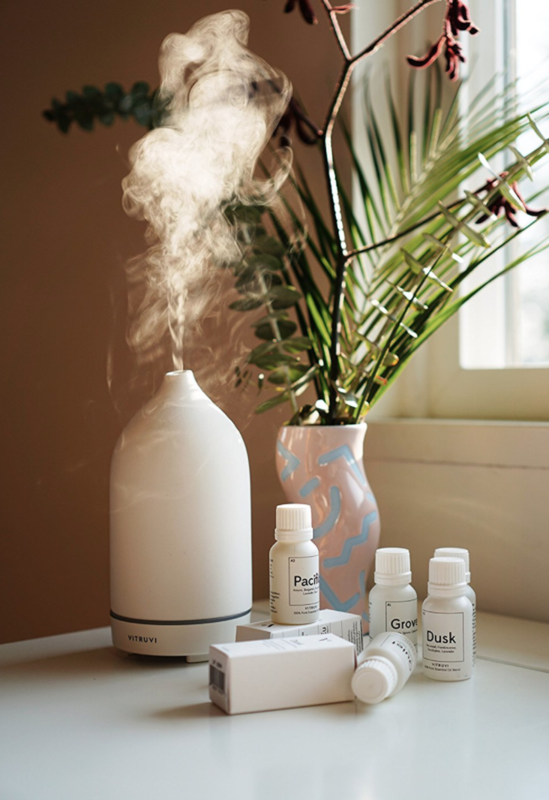 If you’re looking to bring the pleasant, therapeutic effects of an essential oil diffuser to your home, you may notice there are a TON of options out there. Nebulizing, ultrasonic, and evaporative to name a few types, not to mention all the different brands and models. Many folks also don’t understand the difference between a humidifier and diffusers. In this article, we’ll dive into these two types of devices so you can pick the right one for your needs. The two devices are different in their basic purpose, though they do complete their function in a similar way, and through the same physics. A humidifier's function is to increase the humidity (moisture in the air) of a room, by spreading water droplets throughout the air. There are a few different types of humidifiers, but in general, they simply take liquid water and convert it to water vapour. The water vapour then diffuses through the room to increase the relative humidity throughout the space. By contrast, a diffuser's primary function is to diffuse essential oils throughout the air. However, it's also possible that a diffuser can both diffuse essential oils into your space, AND also humidify the air at the same time. Some diffusers also perform their function of spreading essential oils by being carried around the room by water droplets. These are called ultrasonic diffusers. 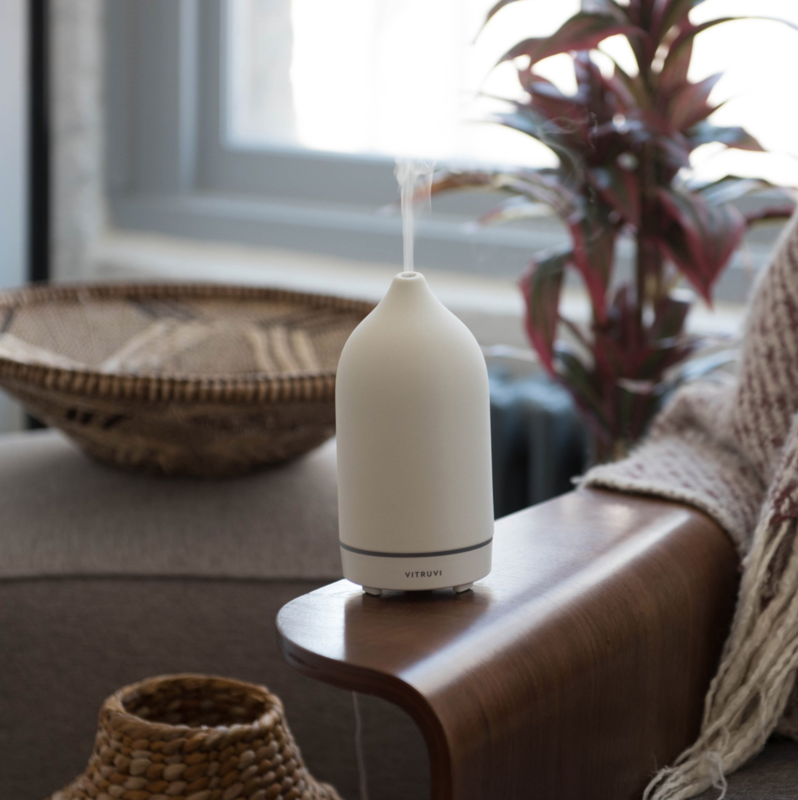 It's important to quickly note that not all diffusers are also humidifiers, as is the case with nebulizing diffusers, which convert essential oils directly into tiny droplets of oil that are dispersed directly into the air. The main thing to consider is what you want out of your new device. Do you simply want to increase the humidity of your home or work space? Or, do you want the therapeutic effects that come with a oil diffuser? Fortunately, with ultrasonic diffusers, you can get both. But this is the first thing you’ll want to figure out before you decide on what to get. If you ever want to just humidify your room and not bother with the essential oils, you can do just that and omit the oils when turning on the device. 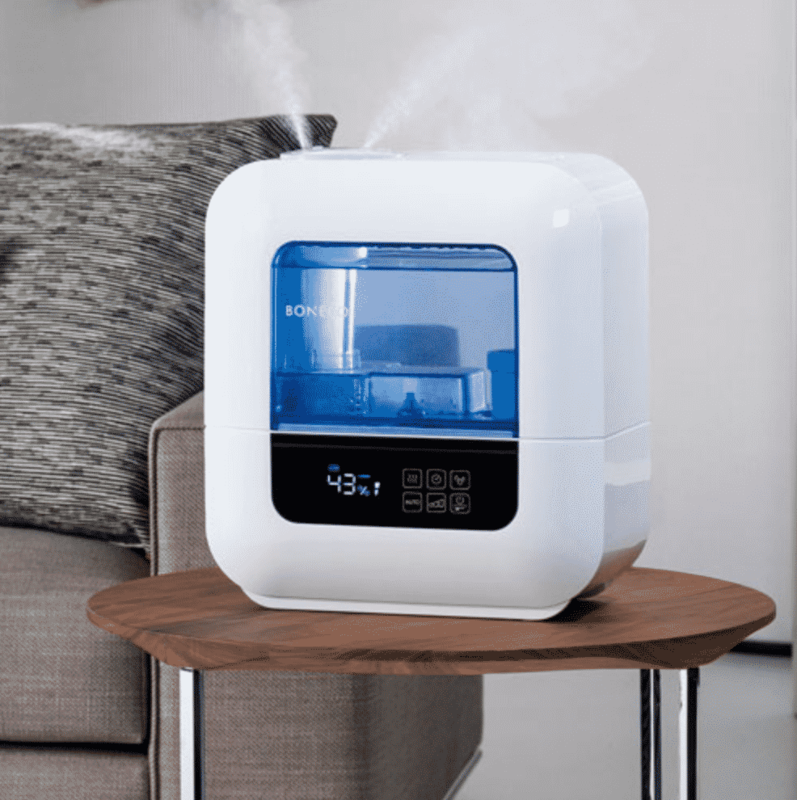 It’s important to consider not all humidifiers are designed for the use with essential oils so it may not be as easy as just putting oils into your humidifier to convert it to a diffuser. In general, humidifiers come in many more sizes than diffusers. Diffusers are designed for household or workplace use to provide therapeutic effects in small to large rooms, offices or clinics. As a result, they are much smaller, with water reservoirs ranging in size from 15ml to 300ml. Humidifiers, by contrast, range from desktop sizes - like a diffusers - to industrial sizes. In our opinion, unless you need an industrial sized humidifier, a diffuser humidifier combo (aka an ultrasonic diffuser) is the way to go. If you decide you only want to humidify your room, and don't want any aromatherapy, you can always just omit the oils to humidify your room without any essential oils. 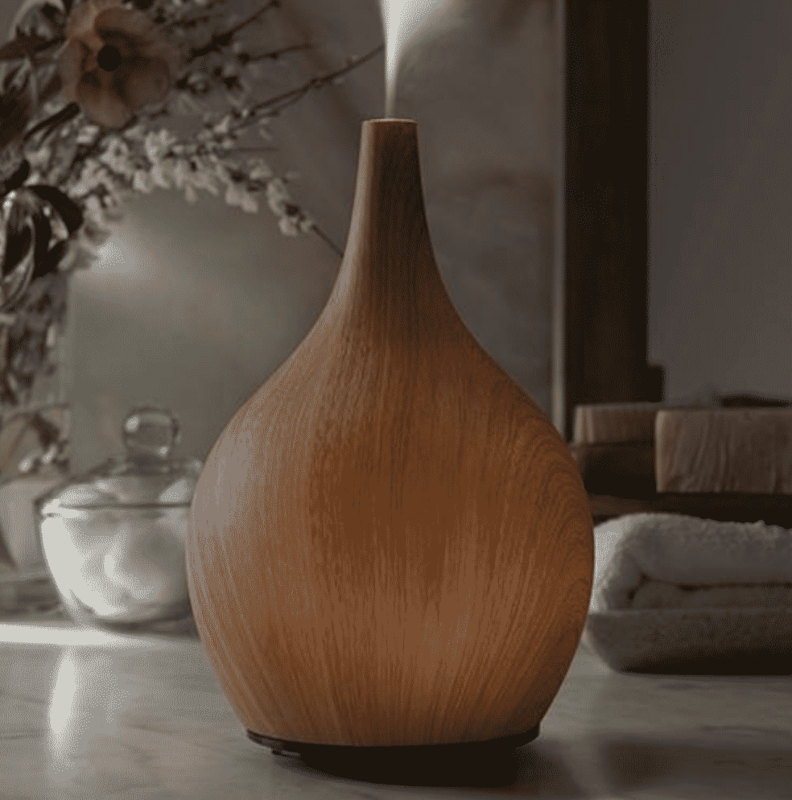 If you’ve decided that a humidifying diffuser is the way to go, we’d recommend checking out our buyer’s guide to look through our top choices of ultrasonic diffusers. Because there are so many options available, each with their own unique pros and cons, we’ve done the research and narrowed it down to just a few choices to make it easy for you to choose.